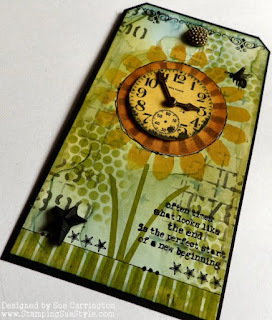 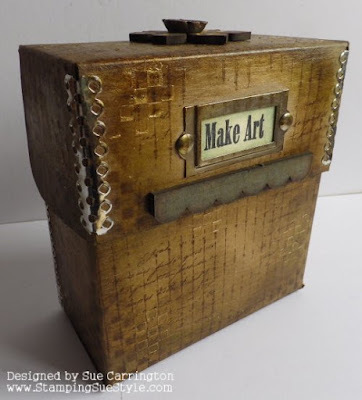 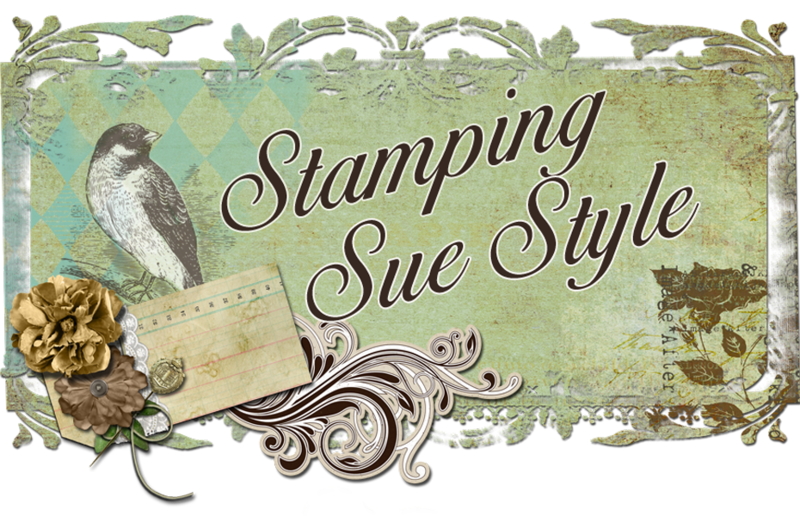 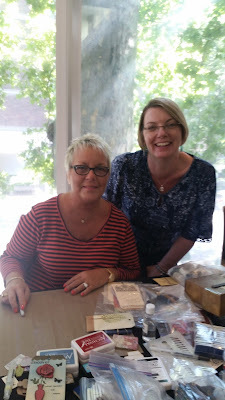 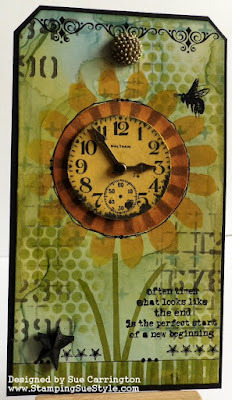 Stamping Sue Style: Time Flies ! 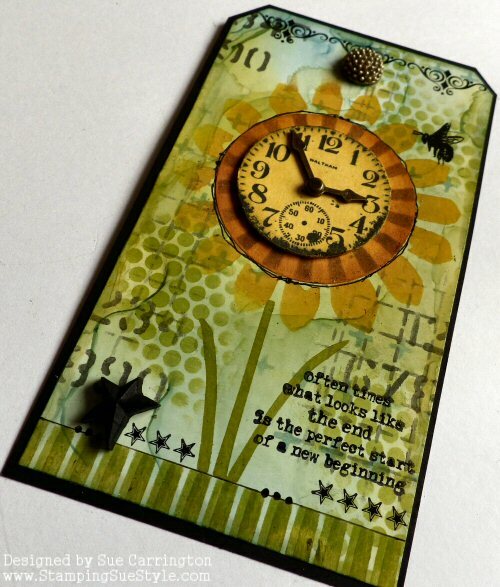 A fabulous tag Sue, love the flower with the clock face. I can imagine the wonderful time you must have had at the weekend, your projects all look awesome. 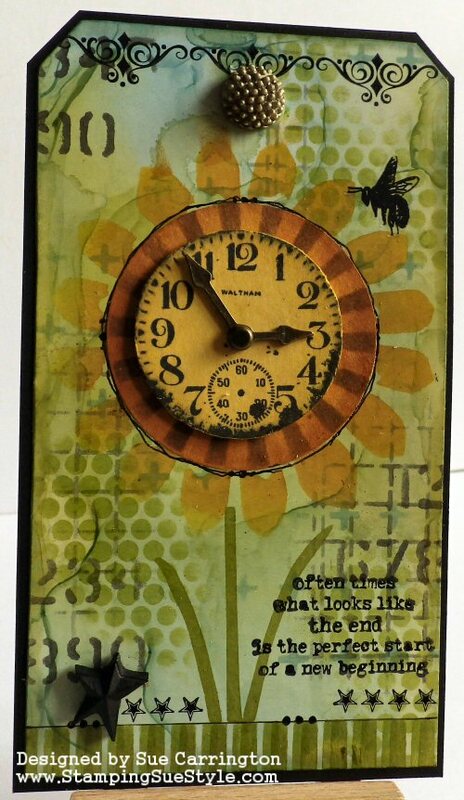 Oh, I do love your time-telling flower - what a wonderful tag. 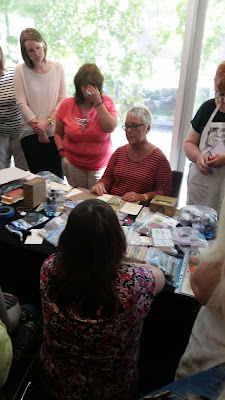 And how lovely to see the people and the amazing projects from the WV workshop... great post! 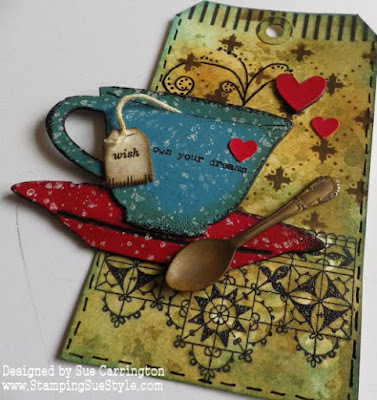 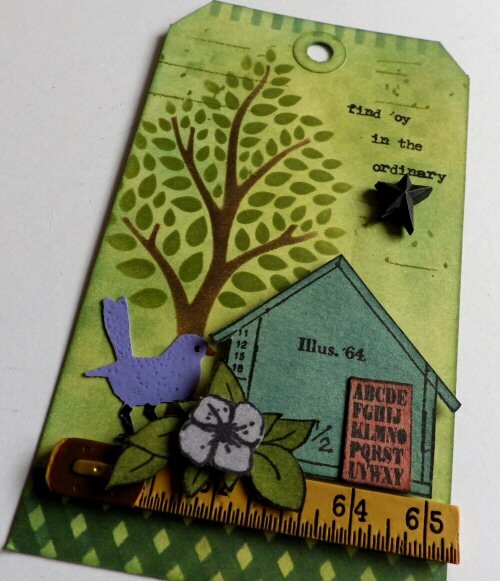 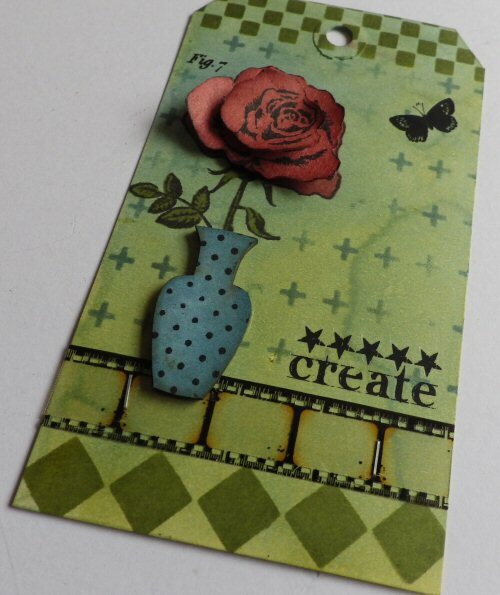 Love your tag for the challenge theme Sue as well as all the fab art you made with Wendy. 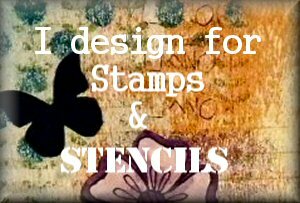 My favourite is the stencilled tree one! 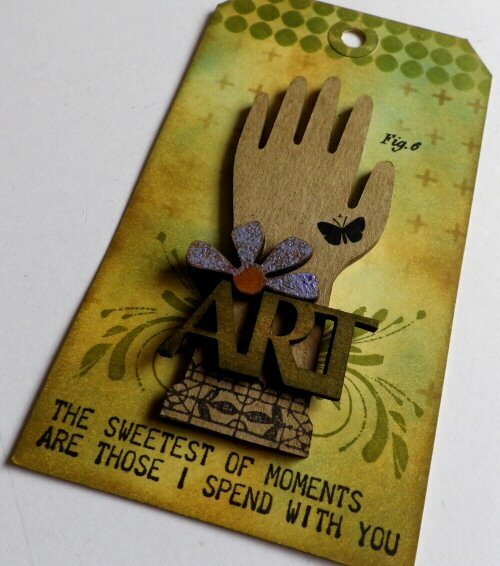 Glad you had such a wonderful time.